Take the bodyguard off your payroll; you won't need him anymore, not with the addition of this 2 million volt stun gun / flashlight combination! This innovative self-defense tool does double duty with its built-in LED flashlight and stunning two million volts of electricity that will bring would-be attackers to their knees. The aircraft-grade aluminum body construction has an anodized black finish with a textured grip. It features a nylon safety lanyard that disables the stun gun when detached. It also features a nylon pouch with a belt loop and a plug-in wall charger. I simply love this flashlight/ stun gun! Work's great for the price. The case is really cheap and fall's apart, but other than that, it's good. Will purchase more in the future. Love this store .. He absolutely loves it! It made him very Happy! Works Great and love the charging feature. I bought 2 of the earlier versions and both still work fine. Each has stopped at least one dog attack and the flashlight is just right. They both have lasted over 2 years now. Surprising considering the price. Case is real crap, Replaced it with a old leatherman leather couch modified, I read other reviews about the taser prongs falling out so I used a small amount of epoxy to keep them. Worked! For the price great flashlight great tazer. The prongs for the taser fall out the body way too easily. Had it in the holster and I guess when I took it out one night when I needed a light, one of the prongs fell out and is lost. 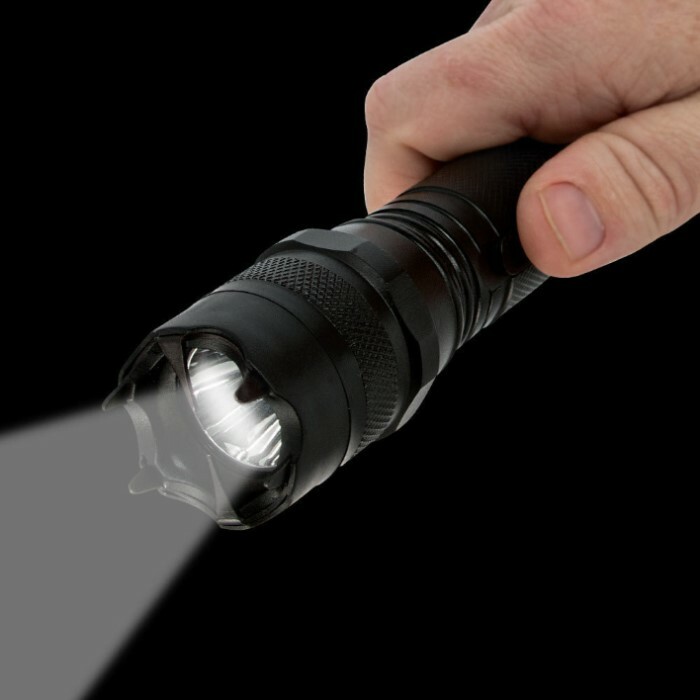 Now it's just a rechargeable flashlight. The light works well and is bright enough. 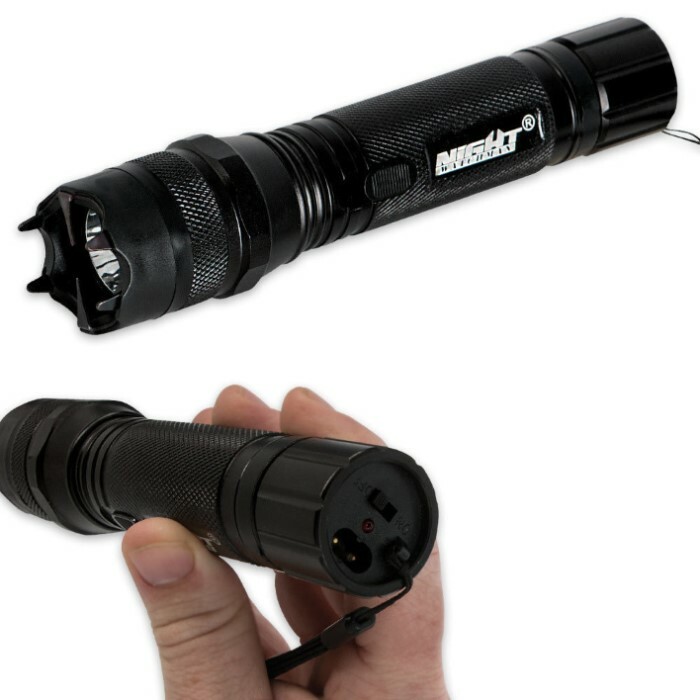 Good flashlight,not so good stun gun.One of the ends fell off after less than 2weeks,lost.So,I have a flashlight,but that's it.If you are looking for a good quality flashlight,this is for you,however,if you are looking for a good sun gun,this is not for you.